Two 2019 OHL draft picks from Southern Tier Admirals were selected to team White at the upcoming 2019 OHL Gold Cup held in Kitchener May 2-5. Congratulations to Nicholas Paone and Blake Hall, good luck boys. STA will be NOT be accepting F1 waiver players for Novice or Minor Atom. Waiver players should contact the respective coach if interested in trying out. Registration at arena is $160 cash. 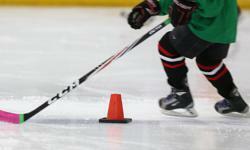 All tryout players require their permission to skate form. Zone players registered on or before April 15th are guaranteed two sessions (could be combination of tryout skate and exhibition game). Players registered after April 15th are not guaranteed 2 skates. Three players from the Southern Tier Admirals were selected in the 2019 OHL Priority Selection Draft held on Saturday April 6. Our Peewees won a bronze medal this past weekend at the OMHA championships. It was a challenging weekend of hockey, placing 3rd after the round robin (2-2-0). This was the first birth to an OMHA championship weekend for our 2006 players. Congratulations to the players and the coaching staff for their accomplishments this season. Thank you to the parents for your support and commitment. Our Bantams capped off a very strong season with a Silver Medal at the OMHA Championships this past weekend. The team earned a birth in the gold medal game after placing second in the round robin play (1-1-2). Congratulations to the players and Coaching staff. A thank you to the parents for their support of the team this season.